What is the easiest way to learn about your options for funeral and cremation planning in Union, NJ? If you are preparing for an upcoming funeral, then it is important that you lean on the services provided by a licensed funeral director. There’s no reason for you to work through the tough decisions without support. Our team is here to assist, helping you plan a day that is both memorable and respectful. At Paul Ippolito Summit Memorial, we know that many emotions come up in the funeral planning process. It can be hard to face the grief and bear the burden of designing the funeral at the same time. This event is a chance to celebrate the life that was lived. Additionally, it needs to be designed in a way that supports the healing process for those in attendance. If you are thinking about funeral preplanning or you need immediate funeral services for a family member, then we invite you to talk to us for more information. We have details listed here on our website to answer some of the most common questions that come up. Additionally, you can reach out any time if you would like to schedule a consultation or tour our facilities. 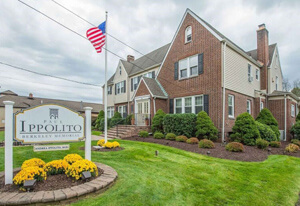 You can have the peace of mind to know that our team at Paul Ippolito Summit Memorial is focused on your satisfaction and support. We have been helping the community for many years, offering the best memorial and funeral services in the area. This hands-on experience has given us the insight that can be used to help you plan the right funeral service based on the needs of your family. This process always begins with a consultation so that you can learn more about your options. Some people choose to read the information on our website to learn about the various services that are available. Then, they call with questions or to schedule a consultation. We also have a planning tool here on our website, designed to walk you through the funeral planning process. We’ve created this system to take you step-by-step so that you can look at the choices one at a time, instead of feeling overwhelmed by all of the information at once. Rest assured to know that our team has your best interests in mind. 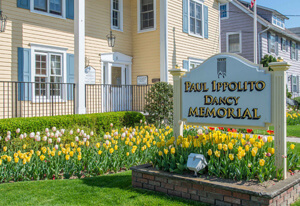 You can expect gracious communication and services when you choose Paul Ippolito Summit Memorial. We understand that everyone deserves affordable, quality funeral services. So, we are happy to accommodate the needs of all religions, lifestyles, relationships, and beliefs. What is the most meaningful way to honor the memory of your loved one? As you are comparing the services that are available, consider the lifestyle and preferences of the deceased. For example, if the person loved spending time in the outdoors, then you might choose a beautiful outdoor location for the memorial instead of holding the event inside. It is also important to include any religious preferences and family traditions as desired. The final resting place is another detail that should be addressed. Is it best for the family to have a location where they can visit a gravestone and pay their respects? Or, would you rather return the deceased to Mother Nature by scattering the ashes in a beautiful destination? If you select a casket burial, then you will need to choose a cemetery where the person will be laid to rest. On the other hand, cremated ashes can be stored in many different locations. Your family will receive many benefits if you are proactive with preplanning before you are gone. 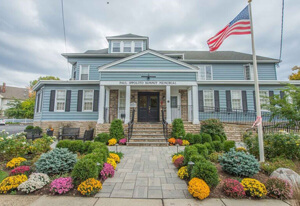 This process allows you to select your preferences for funeral and cremation in Union, NJ. You can discuss your desires with our team to design a plan that is unique to your lifestyle. Too often, families are left in a stressful situation if the planning isn’t complete before someone passes away. As a result, the survivors need to face difficult decisions, such as casket or cremation, or the location of the event. Instead of leaving these details to the last few days before the funeral is planned, you can start the process right now. Our team will talk with you about the various services that are available. Then, we will keep this information on file so that your family receives all of the details after you are gone.